We signed up for the NCT antenatal sessions for personal reasons but were also offered the NHS antenatal sessions. Obviously, we decided to go to both. More information, the chance to go over things again, meet more people and it has finally given me the chance to experience what it’s like to be top of the class as I knew the answers already. I guess some people have the NCT vs NHS debate with their partners. That conversation probably revolves around whether you think paying for something that you can get for free is worth it or not. So, to help you with that conversation and decision, I’ve used our position of experiencing both to compile a list of things to think about. All the comments down the left are about the NCT and all the comments down the right are about NHS. All you need to do is read through and decide which side you fall on. *I must stress at this point that these are purely my thoughts and mere observations about my experience. This is not necessarily what all NCT and NHS classes are like and it certainly isn’t supposed to be list of good and bad points; just observations. Really, it does boil down to money. In life it’s more often the case that you pay for what you get. If you pay for antenatal classes you should expect good resources, more sessions, more time and more detail. We preferred the NCT classes. For the sole reason that it covered things in more detail. There really isn’t anything wrong with the NHS sessions and it’s amazing that they are offered to everyone and so valuable. My recommendation is this: make sure you do 1 of them. 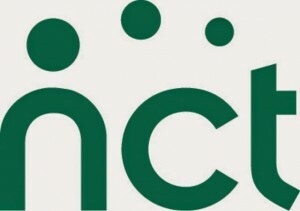 If you can afford it, the NCT is great. What you’ve said here is very much in keeping with what I’ve heard from other people who’ve attended NCT classes. 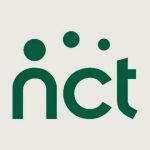 We’d have loved to have been able to go to an NCT class but unfortunately there weren’t any particularly close to where we live in North Wales. I guess that one of the benefits of the NHS is that they are probably able to offer antenatal classes in a lot more locations that the NCT. You’re absolutely right; the NHS probably do cover a wider area. Thanks for your comment. We did both too. Personally, I had criticisms of both, but the NHS version was the more real scenario. Our NCT teacher told us to pack a bag as if we were having a romantic date night – because it’s special. Including nice lingerie and chocolates. She went on and on and on about how vital your birth plan is, and how the midwives will use it to make sure your birth is exactly as you want it to be. In short, she painted an idyllic picture of the perfect birth, from which many women I know departed feeling like they had failed. However, I would still say NCT is best, because I found life long friends through my NCT group. Wow! Chocolates and lingerie??? That feels to me like a step too far. Our course leader wasn’t exactly like that, she did say pack the massage oils etc but did paint more of a painful and hard time. I guess that highlights that some course leaders are different. And you absolutely right, that is the benefit of NCT – friends for a lifetime. 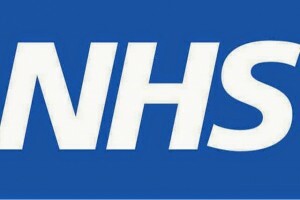 It’s not like you can’t make good friends at the NHS but you see the people less and there’s no active encouragement. 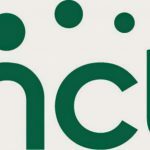 Its such a shame that NHS can’t offer more, having said that the private class we have visited had 5-6 couples, antenatal classes “hosts” used NCT materials, we were told that we need to stay at home as long as possible, as its a comfort of our own home. I did listen to their recommendations to stay at home plus hospital midwives thinking I have irregular contractions(perhaps should’ve listened to myself) meant I ended up calling ambulance as was pretty much was ready to give birth in my own bath. Wow! That must have been pretty scary! Well done to you though for managing that! I found that NCT did a lot of lobbying for non interventions during birth and in the case of nearly all of the women in my NCT group interventions were required and it was possibly the case that they felt a sense of failing. When they absolutely did not. Critically for us, our persistence with breast feeding was nearly fatal for our baby.